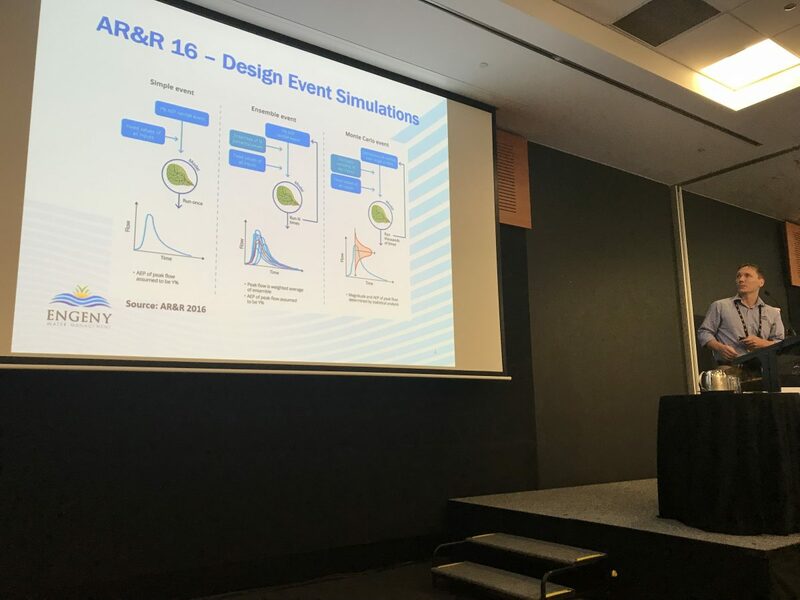 Engeny Water Management proudly showcased the expertise of two of our principal engineers at the 2018 FMA Conference on the Gold Coast. Mark Page (Director and Principal Engineer) co-presented with Toowoomba Regional Council on Community Driven Flood Risk Management Planning for Rural Toowoomba Townships whilst Ari Craven (Principal Engineer) presented on the Comparison of Ensemble & Average Variability Method temporal pattern approaches. Thanks @FMAAustralia for another great conference.